Whether you're remodeling or building, designing a functional bathroom is an exciting and thoughtful process. 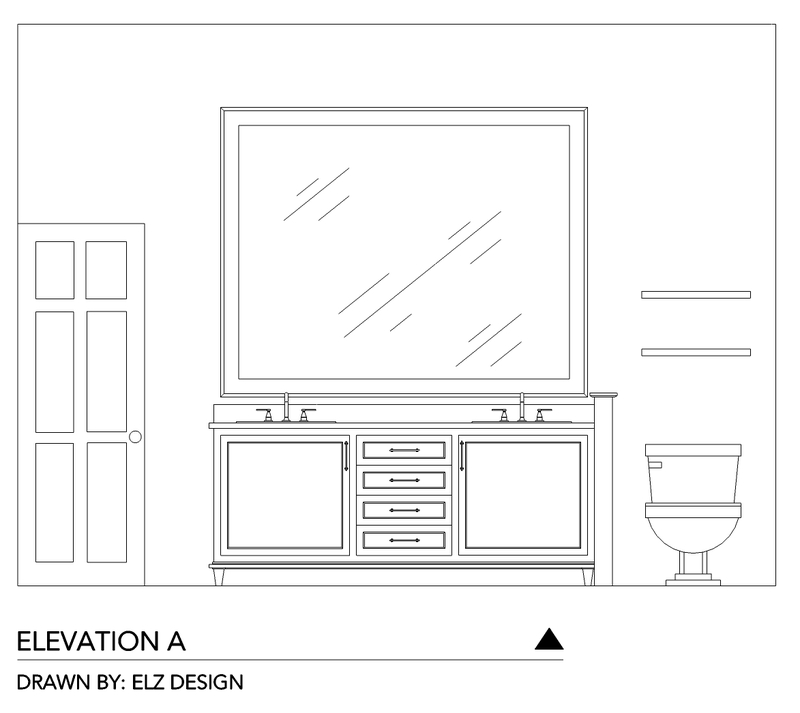 To help bring your dream bath into focus, take time to assess your needs and devise an efficient layout for a functional floor plan. For an existing bath, assess the pros and cons of the current layout. 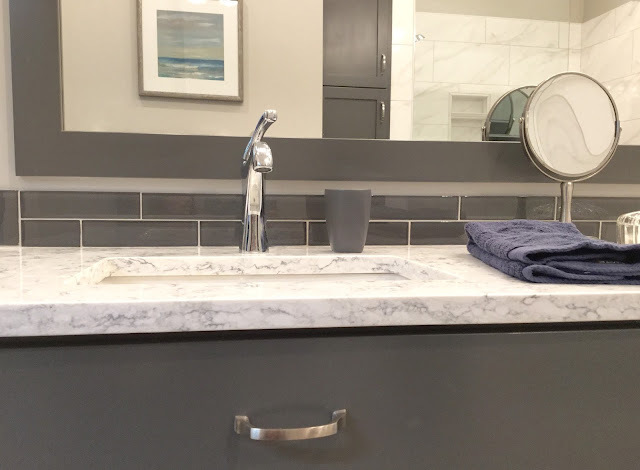 For a new bath, think about how your dream space would function. Elz Design just completed a Master Bathroom en suite renovation for a wonderful client. 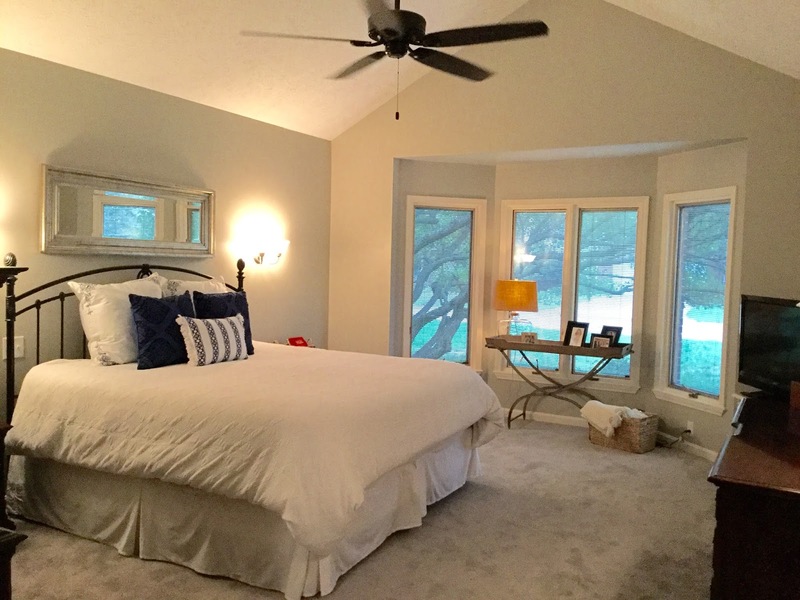 This Master bedroom and bathroom had tons of potential with it's high pitched ceilings and an abundant amount of space. 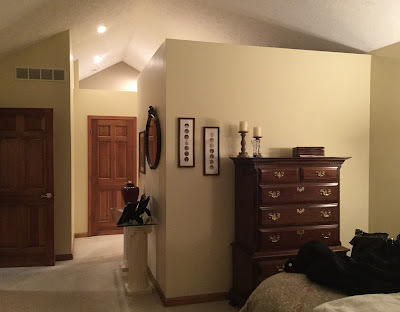 With the right reconfiguration, I was able to maximize both areas to its fullest potential. 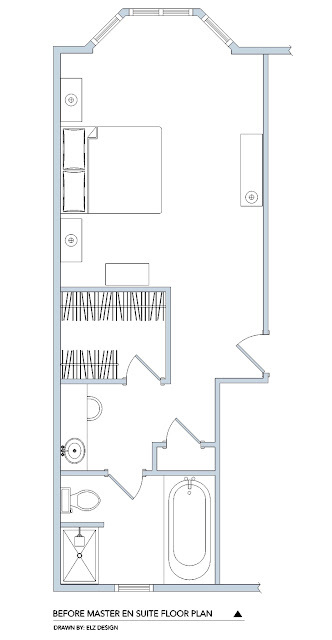 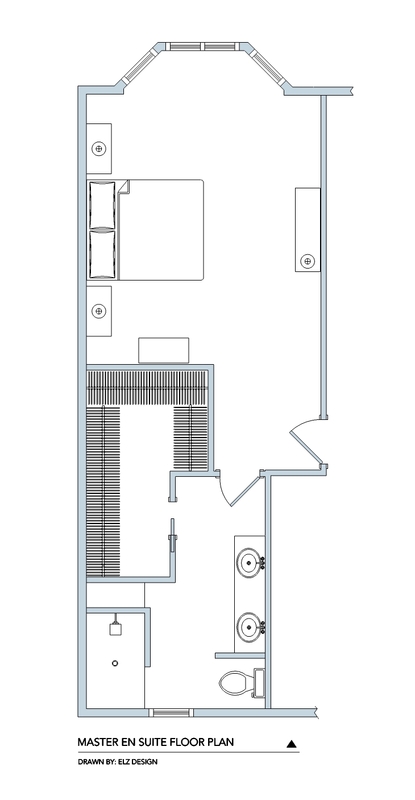 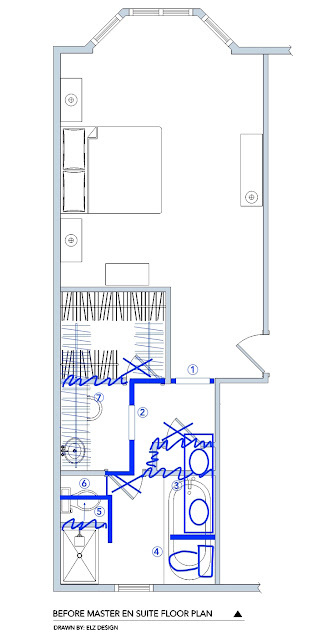 Let's take a look at the original layout of the master en suite and my client's wishlist. 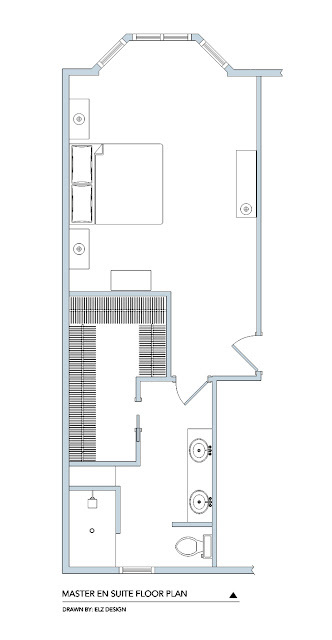 First stage of the design process is space planning. I came up with a handful of reconfigurations from more of a high end budget to a more cost effective budget with keeping some of the walls and plumbing in the same existing location. I like to show clients the pros and cons of laying out the room certain ways. 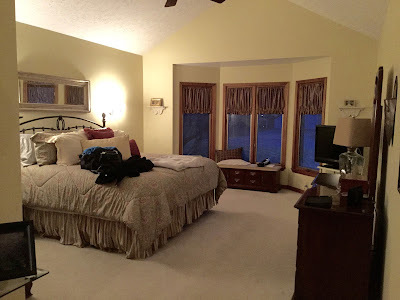 It gives them a good sense of why I do things and the logic behind the advise and answers that I give them. And the winner is OPTION ... 4. 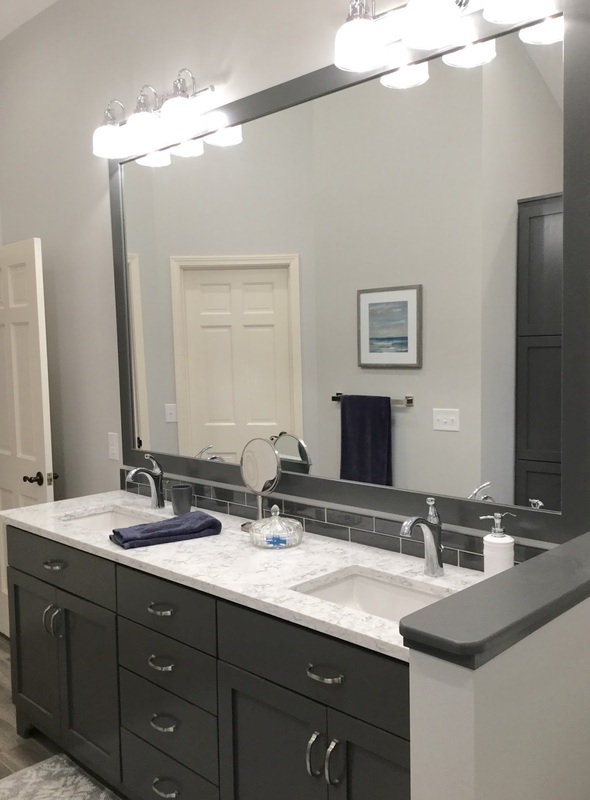 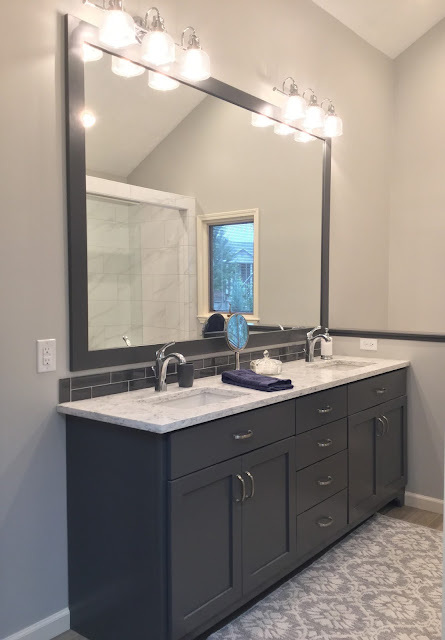 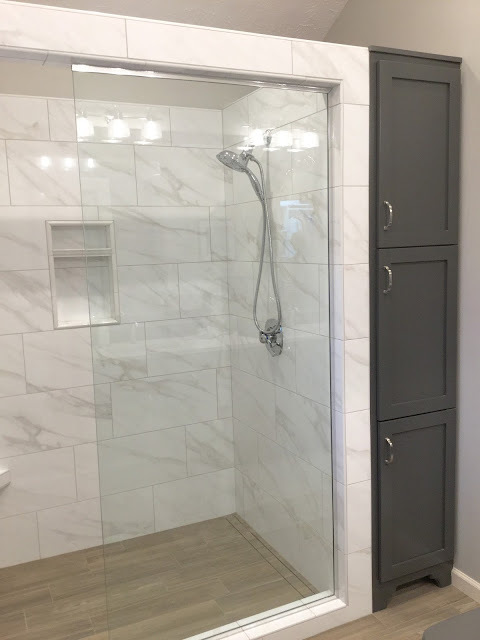 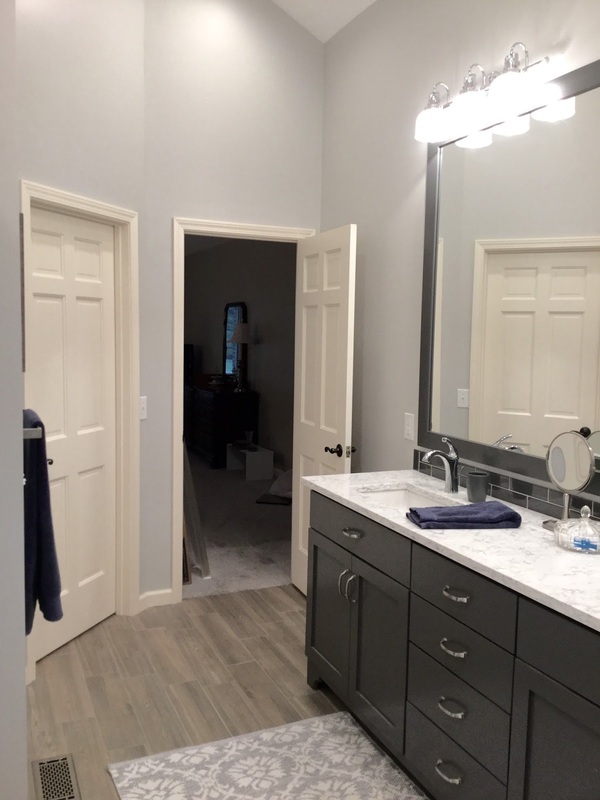 Using custom cabinetry in a bathroom to create your vanity or other storage solutions can really make a huge difference in how well your bathroom works for you and your family on a daily basis. 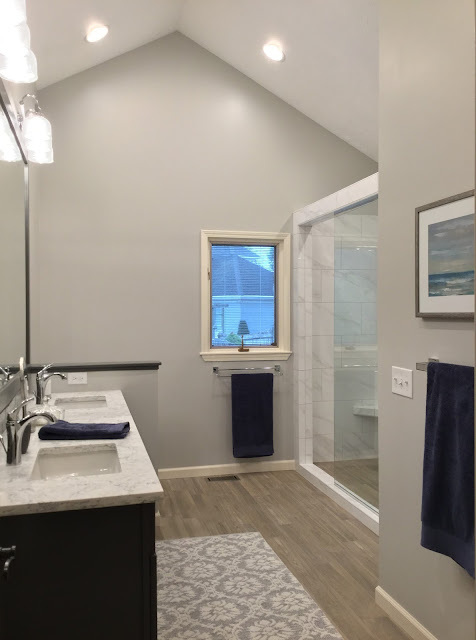 Hope you enjoyed seeing this Master Bathroom en suite renovation come to life! 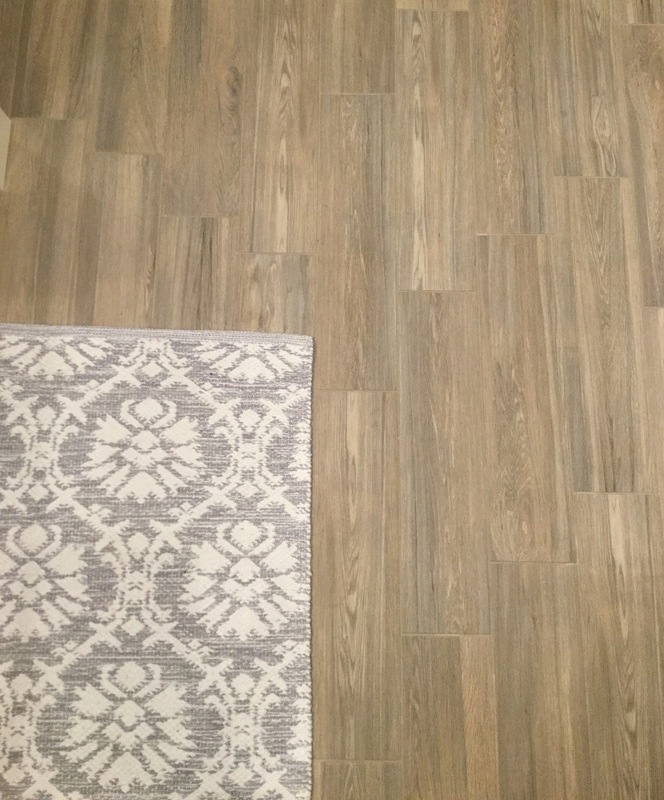 Onto the next project! 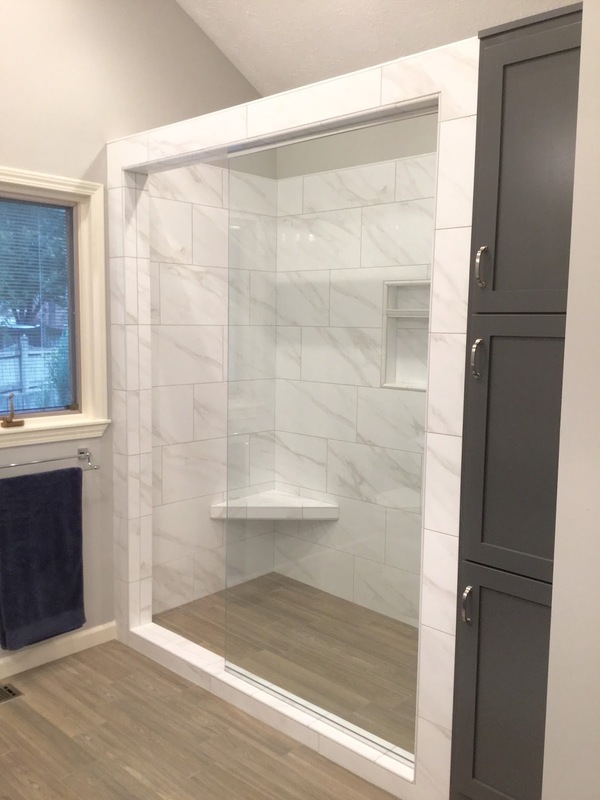 21 comments on "HOW TO RE-DESIGN A MASTER BATHROOM LAYOUT"
how to repair inflatable hot tubs Thanks a lot for the article.Thanks Again.